TONI ERDMANN by Maren Ade will represent Germany as the official submission for the 89th Oscar® for Best Foreign Language Film. This was decided by an independent jury appointed by German Films. Jury representative Felicitas Darschin (Bundesverband Regie) announced the decision on 25 August 2016 at a press presentation in Munich in the presence of producers Janine Jackowski and Jonas Dornbach and actor Thomas Loibl. 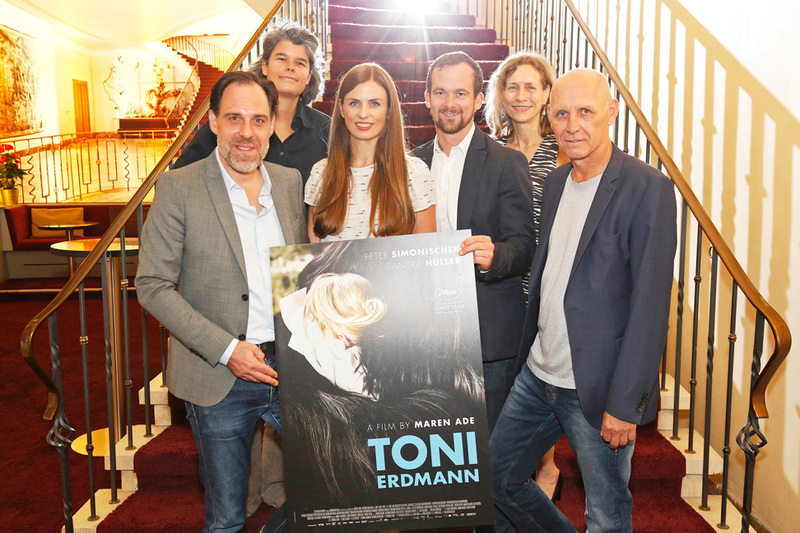 TONI ERDMANN is a production by Komplizen Film, in co-production with the Austrian coop 99 Filmproduktion, knm (Monaco) and Missing Link Films. The production was funded by Film- und Medienstiftung NRW, Eurimages, the German Federal Film Fund (DFFF), the German Federal Film Board (FFA), Medienboard Berlin-Brandenburg, BKM, the Austrian Film Institute, Film Industry Support Austria (FISA), Filmförderung Hamburg Schleswig-Holstein, FilmFernsehFonds Bayern (FFF) and MEDIA.